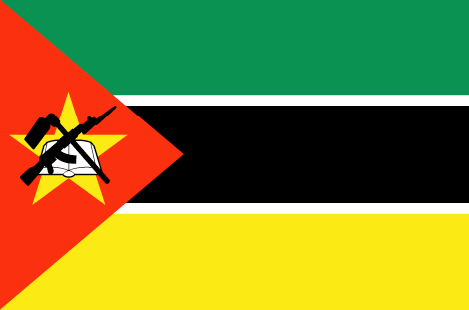 Inhambane, capital of the province of the same name, is located about 400 kilometres north of Maputo. The historic roots of the town reach as far back as the tenth century, when Inhambane was used as a seaport by the Arabs. Citrus fruits are among the most important products of the region, even inspiring one of Mozambique's most famous poets, Craveirinha, to write of "The Tasty Tangerines of Inhambane". The municipality of Inhambane is very supportive of the work of SOS Children's Villages. A suitable plot of land about two kilometres out of town was selected for the construction of the SOS Children's Village Inhambane. The land is close to the airport and the surrounding rural community is rather poor, with people mostly living in non-permanent housing. SOS Children's Village Inhambane consists of fifteen family houses, an administration and service area, as well as houses for the village director and the SOS aunts (who support the SOS mothers and take care of the children when the mothers are on leave). Up to 150 orphaned, abandoned or neglected children can find a new home in the fifteen family houses, where their SOS mothers take lovingly care of them. An SOS Kindergarten with three group rooms was set up as well, offering pre-school education to up to 90 children both from the SOS Children's Village and from the surrounding neighbourhood. They learn and play together, which greatly supports integration and mutual understanding. A maximum of 1,000 children and their relatives from HIV/AIDS affected families receive direct support, skills training, counselling and medical treatment in the SOS Social Centre. Those accepted onto the AIDS outreach programme are children who have lost both parents and now live with grandparents, older siblings or other relatives, as well as those whose parents are seriously ill. Additionally, primary and secondary school education will be offered to up to 800 students in 14 classrooms at the SOS Hermann Gmeiner School.